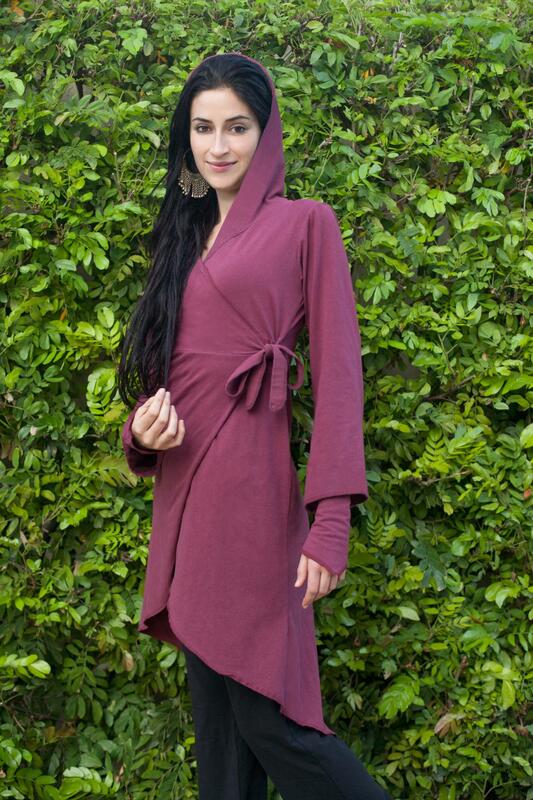 The Aum Goddess Artemis Jacket is a new piece this season. A great addition to your wardrobe for this spring time renewal. An easy piece which can be worn anytime of day or night. Not only a jacket and or coat, depending how tall you are ... and almost a dress. Features: Classic Aum modest hood. A tie for the inside of the jacket and a tie for the outside of the jacket, featuring a higher just under the bust line. A longer drape line at the back for a more dramatic look. Slight Bell sleeves completes the look. 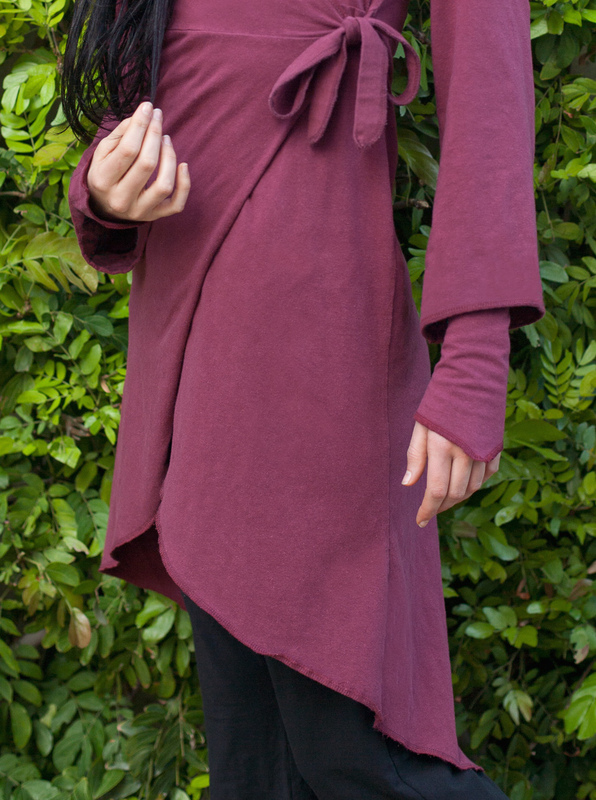 Shown here: in the burgundy colour with the burgundy fingerless gloves peaking thru and this Artemis Jacket fits nicely over the black goddess pants. This jacket lends itself very well in all the colours in the Aum palette especially popular in creme for ceremony wear.